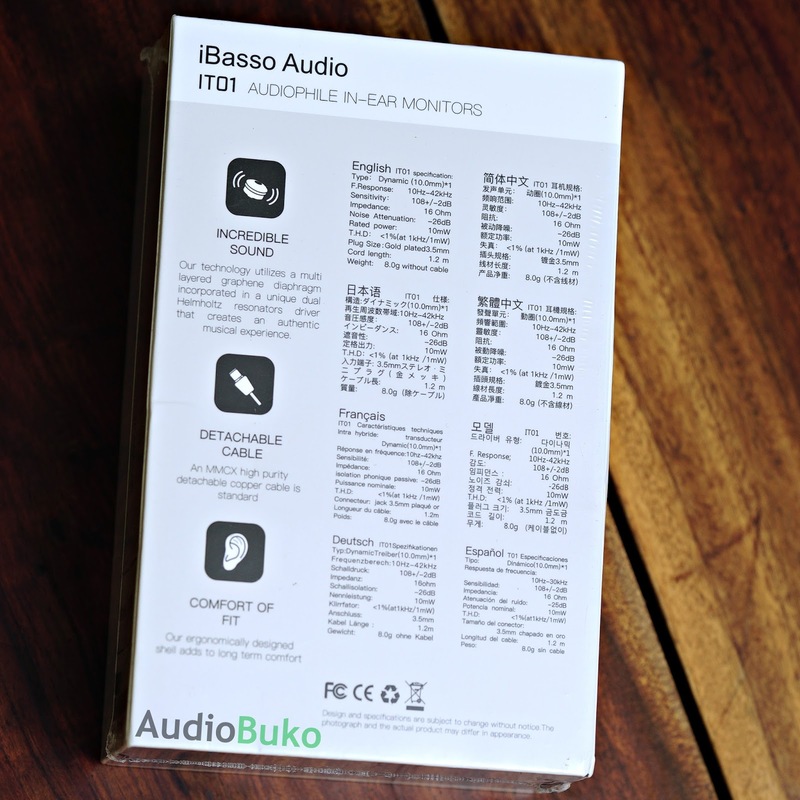 Introduction: The iBasso IT01 doesn't need much of an introduction considering it's been out around November 2017 and has since created quite a flow of interest (and likely mass purchasing) that we didn't get it locally till around February. For transparency, this iBasso IT01 was personally bought from a local seller for my review. And though a few months have passed by since it came into the scene I'd like to add my two cents into the pool of IT01 reviews. 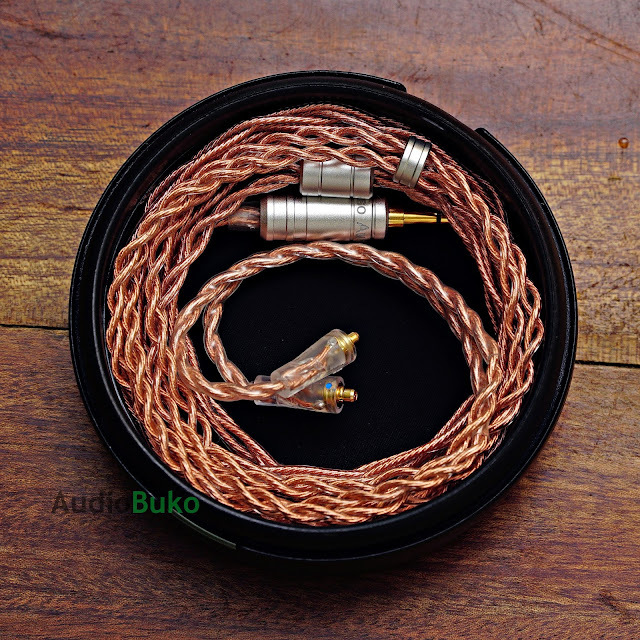 Specs: The iBasso site has the full description but the TLDR highlights are a near 1 Tesla magnet, dual cavity Helmholtz resonators, 5um multilayer Graphene diaphram and a hand woven 4N high purity OFC cable. Unboxing: The IT01 came in a nice vacuum sealed box which was more compact than some of the other IEM boxes I've had before. 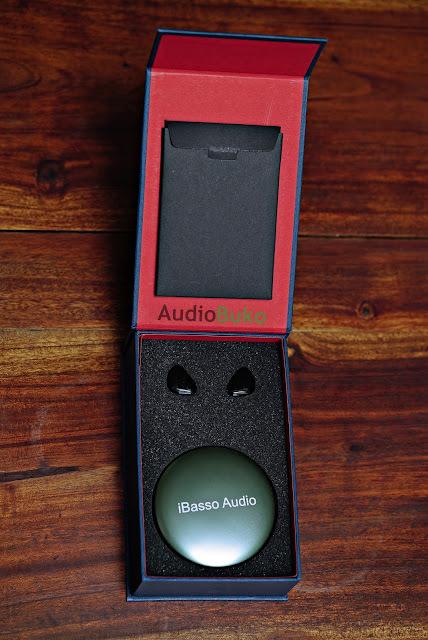 The front box sleeve has the iBasso logo as well as the model and a few other words. The back sleeve has a TON of information in various languages, basically the specs and the technologies used in the IEM. Inside the sleeve is hard magnetically latched box where an envelope hangs with documentations inside. In the box itself is foam padding protecting the IT01 and a padded aluminum carrying case, which holds the cable and extra tips. The box contents, as you can see above, contain the warranty card and manual (came in the envelope), the beautiful copper cable is inside the case and that the IT01 comes with a tip attached (which I'll be using most times for the review) but in addition, the package has 2 sizes of foam tips and an amazing 9 pairs of silicone tips (with the basic S/M/L samples) of varying bore sizes and tube thickness! Cable: Much was said about how the cables were worth the price of entry for this IEM, and I would agree on that, just look at that beauty! 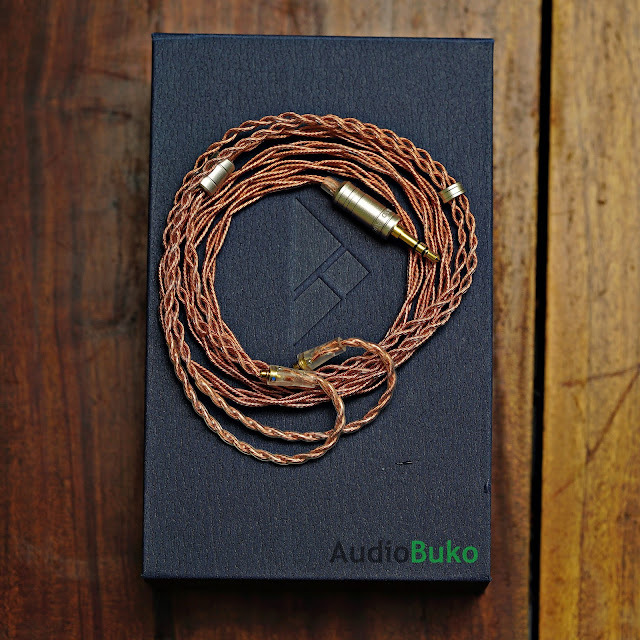 Quality materials, workmanship and design went into this simple yet beautiful cable specimen of iBasso. 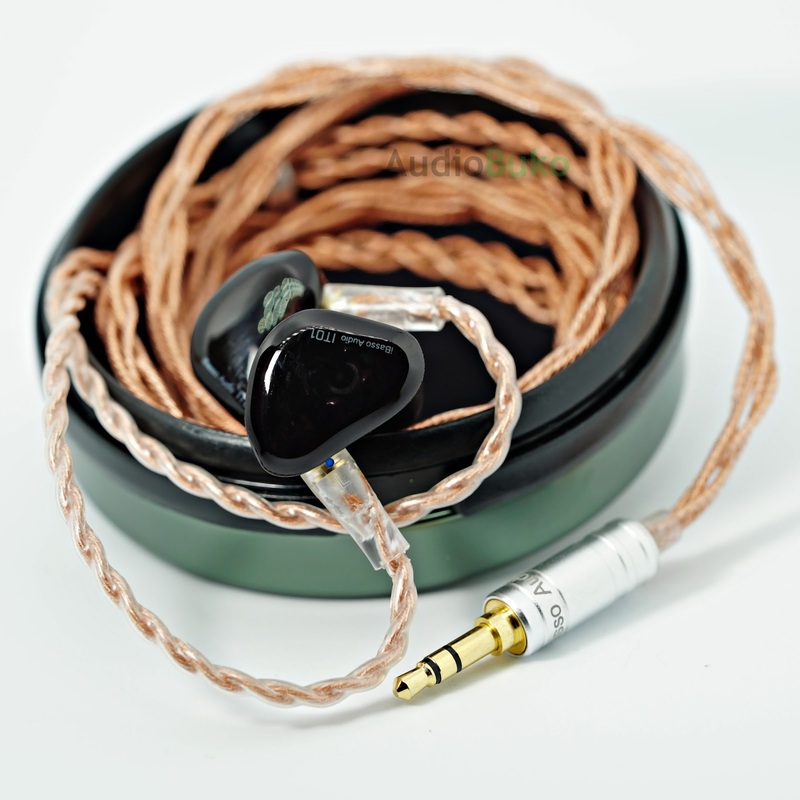 A transparent gold plated MMCX connector, branded aluminum jacket and gold plated 3.5mm jack, an aluminum splitter tube and an aluminum adjuster round it up. The cable itself is soft and loosely braided and feels light so it doesn't tug on your ears when worn and isn't easy to tangle. 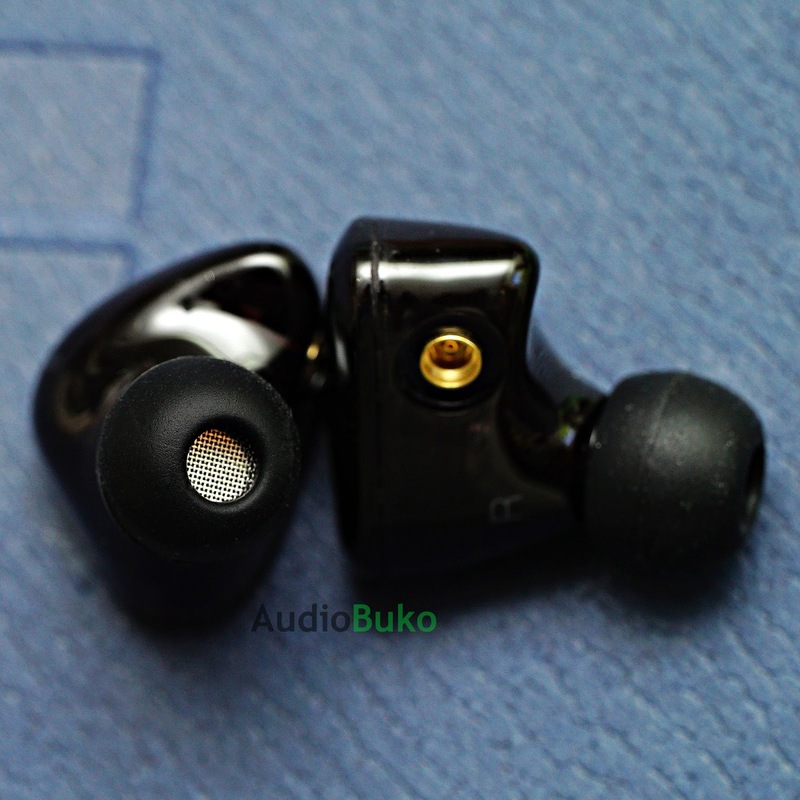 Build and Fit: The IEM itself has a nice metal nozzle for that extra sturdiness and grip when replacing tips, it's covered by a fine mesh for the fine music it'll sing into your ear. The front shell has iBasso Audio IT01 as the only marking on it. The shell of the IT01 is quite comfortable to wear for long hours with the universal fit design, the nozzle length is just right for my ear with the stock tips providing good isolation while the MMCX connectors are gold plated and look good and sturdy. The first time I tried the IT01 with the stock cable and default attached tips, it was a very obvious V shape where the Bass felt large and strong, the mids were (obviously) slightly recessed and the highs neutrally placed but has a moderately good reach. 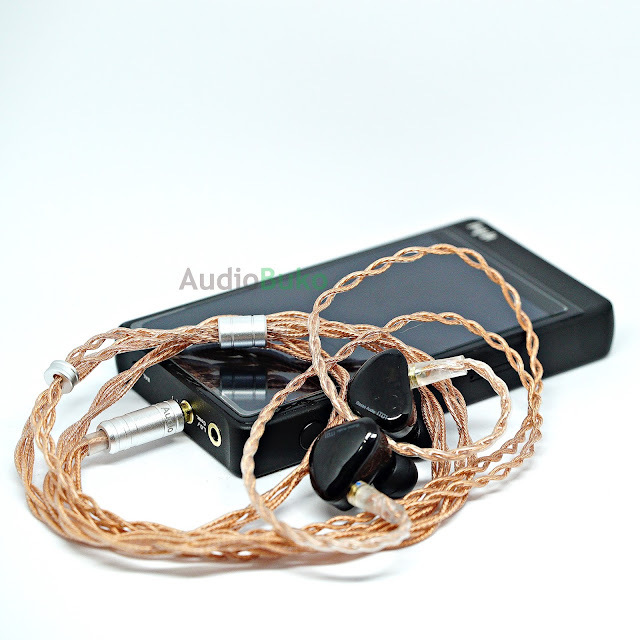 After over 250 hours of use, there are changes that make the IT01 a really good and fun IEM for the price. Lows: The bass has refined after prolonged use, providing a cleaner bass sound (from ootb) with average to good bass separation. Sub-bass has remained deep with impressive extension accompanied by good round bass punches. The IT01 has good rumble and bass quantity with relatively good decay speeds (faster than out of the box though). Bass control on the lower ends are a bit loose compared to the more controlled mid bass. overall, the bass is responsive and dynamic enough to sound good and give energy when needed. Mids: The mids on the IT01 is slightly recessed but is not very noticeable even if it takes a slight back seat to the other frequencies. Instruments and vocals are clear and presents good detail with some natural texture and definition. Female and male vocals sound have about the same level of warmth and intimacy though male vocals seem to benefit more from it's tuning. Highs: Sound unboosted yet have good reach lending a smooth sound progression from the mids and sharp highs that are neither harsh or sibilant. There is some detail and sparkle though briliance is lessened by a noticable dip at 10kHz where cymbal crashes are lowered (weaker sounding) and controlled with a gentle sound curve and decay that provides for a natural sound reproduction. Soundstage: The IT01 has a relatively wide soundstage with a bit of air to help the overall feeling of width and depth. Imaging is accurate and sounds naturally placed while detail presentation is pretty decent. Cable Rolling: Being the greedy consumer that I am, I want it all! Neutral to forward placed mids and shiny highs with good thumpy bass to cap it off. Knowing how my Effect Audio Thor II affects an IEM, I tried it on the IT01 and boy was I happy! 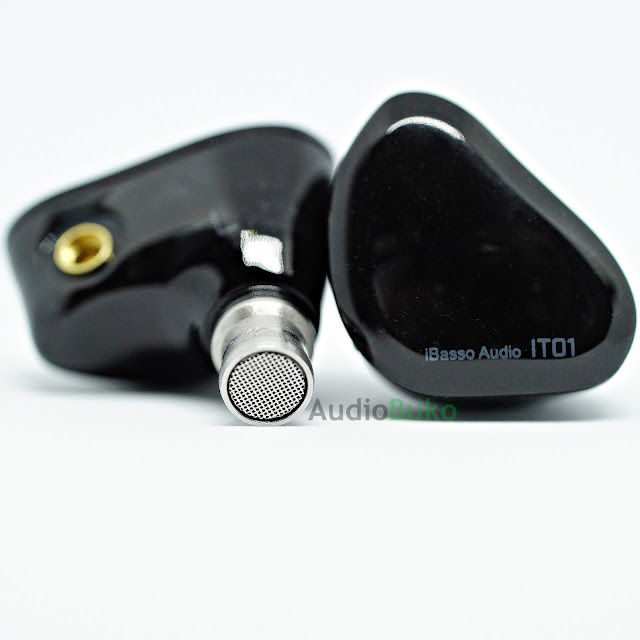 The IT01 responds with cable changes, Bass decay speed sped up, mid clarity increased as well as placing the vocals on a more neutral position and raising the treble extension. Now I know the Thor II is a poor example of what to use to improve on the IT01 as it's way more expensive than the IEM itself, but it is very likely (based on the advantages gained on an SPC Litz) that using a decently good SPC cable will provide for sonic improvements that help better the mids and highs on the IT01. 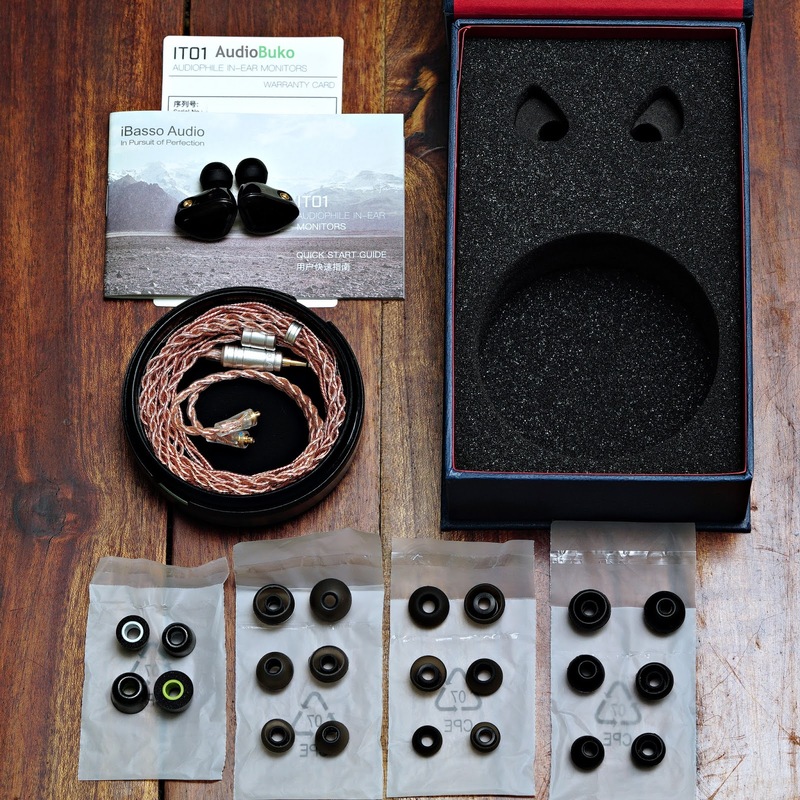 Conclusions: I was impressed the first time I tried the IT01 and that hasn't really changed, this is one really good IEM for the price I paid for and that includes the whole package of a great cable and a lot of useful accessories. It has great responsive bass and impact thanks to those Helmholtz resonators, good sounding, warmth laden mids and pretty good highs with good enough extension for some air and sparkle. 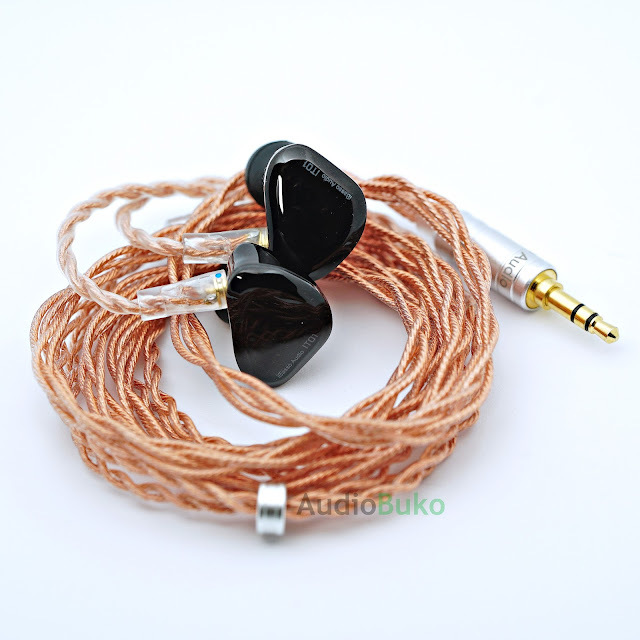 Soundstage is wide enough, with accurate imaging and as a whole, its a musical IEM that makes listening to different genres fun and engaging without tiring your ears off with a comfortable fit and sound that will pull you back for more. Pros: Good price, great fit and construction, amazing stock cable, great and versatile sound, responsive bass, good highs, cable rolling responsive and a good range of accessories. Cons: The manual is inadequate, since they did include information on tip selection; pages used for several graphs could have been used to educate the owner, of how the tips that was included could improve/shape the sound. Nitpicks: The cable is so beautiful, it's a pity it only came in 3.5mm, maybe reducing the other accessories and/or increasing the price a bit more could have yielded a 2.5mm stock connection and a 2.5mm to 3.5mm adapter. 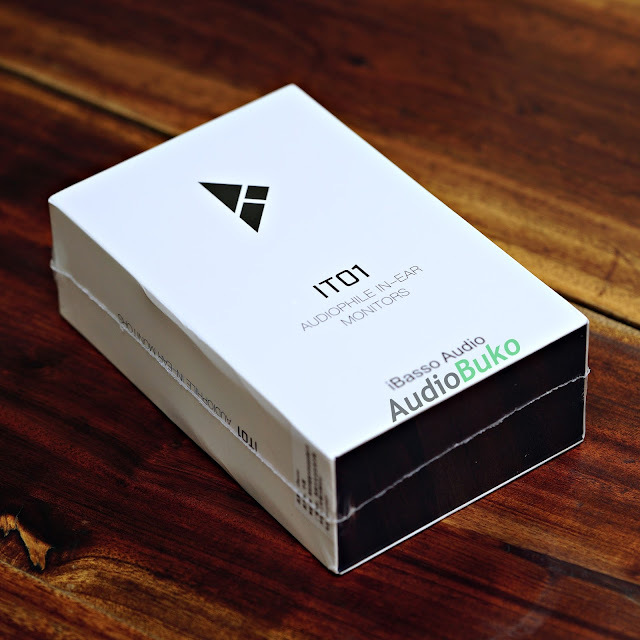 Note that the price of the IT01 here in the Philippines is $116 USD (or 6000 pesos) and internationally it's $105 USD, locally, you can get them from Urban Audiophile, Amiánan Audio and Techshop28 and Internationally from Penon Audio. Sound testing was done using a Sony WM1a (Primarily), a Hiby R6 (for comparison) and a phone (for checking driveability) volume matched to 90.X db of safe hearing and calibrated using a 1kh tone on a dedicated DB Meter, all sources patched through a switcher.